Growing restless of village life, and thirsting for adventure, Conan travels north to snowy regions of Asgard. There he comes across an Aesir villages being plundered by Vanirmen. 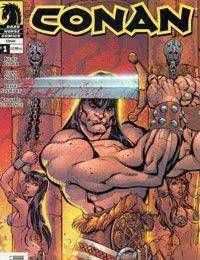 When he intervenes to rescue an Aesir woman, Conan finds himself single-handedly fighting off the Vanir invaders.